Pinch yourself, because this is really happening. 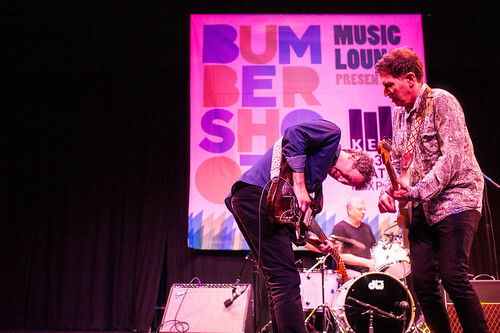 Not only are The Dream Syndicate back in Seattle for the first time in 25 years - they also are playing an additional set for the KEXP Music Lounge to bring us as close as possible to this timeless and influential act. From their debut EP through four incredible LPs spanning the 80s, the Dream Syndicate revived the sounds of 60s art rock with a west coast sensibility. The result was a brilliant mixture of melody and noise that found itself years ahead of its time. 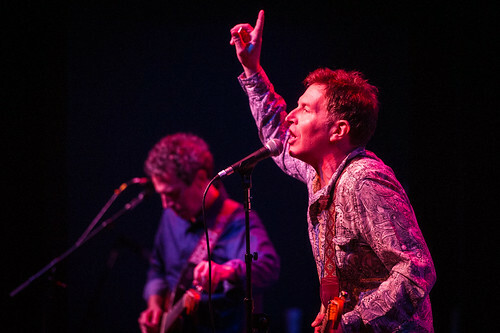 Today, the sounds of the Dream Syndicate sound as fresh as they ever have. 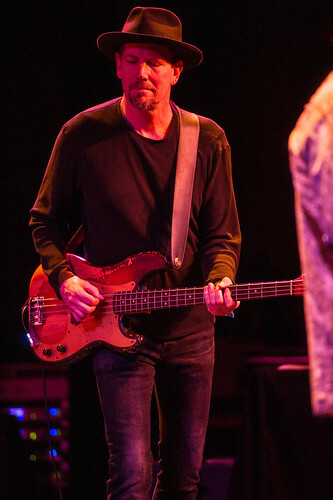 The band began a series of shows in celebration of the 30th anniversary of their highly influential first full-length The Days of Wine and Roses back in 2012. 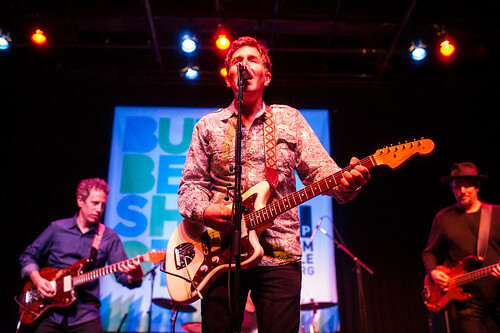 After touring Europe and making only a few previous US stops, the band now joins us at Bumbershoot, and the chance to hear these excellent songs in the wake of all that they've helped influence is priceless. After burning through a blistering rendition of Days of Wine and Roses opener "That's What You Always Say", Steve Wynn looked out at the audience and chuckled. "Now wasn't that better than coffee?" he remarked. The response was no joke though - the music lounge was one continuous explosion of praise for the Dream Syndicate. Guitars upon guitars raining down on every single track and a fair share of ad hoc noise accentuation made every track in their four song set feel like it deserved its own session. But even with ending on a bloodthirsty, five minute edit of the unforgettable Wine and Roses title track, the impossible to beat climax was "John Coltrane Stereo Blues". 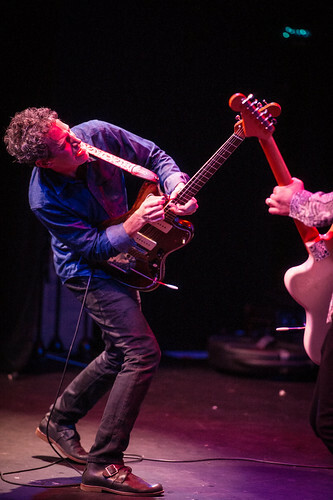 Clocking in double digits, the epic Medicine Show cut ebbed and flowed like a raging ocean. At one point, a solid minute of just dueling guitars before drums and bass returned; at another, an amorphous tribute to Doors classic "Break On Through To The Other Side". Through and through, the track was pure gold. 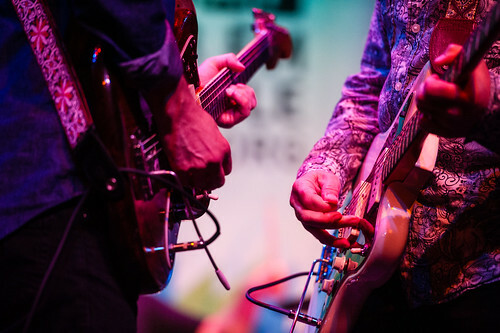 As Wynn explained it, the origins of the song can be found in a jam version played at a show in LA in 1982 where it came in at just under an hour. 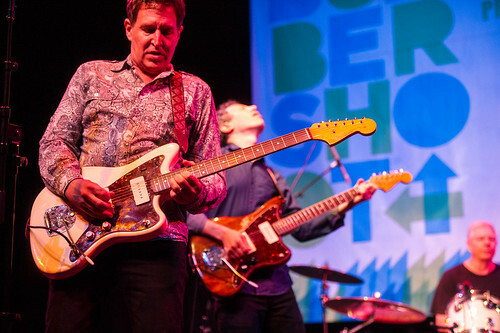 The Dream Syndicate are not to be outdone when it comes to wowing the crowd with pure, unadulterated, passionate musicianship, and that couldn't have been more the case here today. 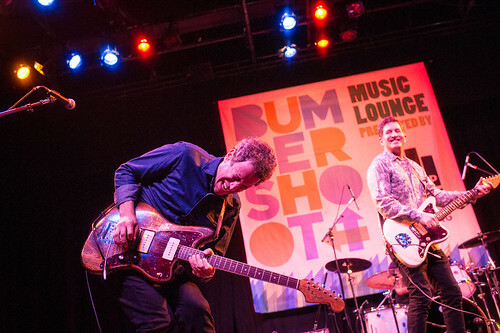 Bumbershoot Music Lounge: Day 2 begins!